After several days of attempts and findings, finally I managed to install Mac OS X Snow Leopard in VirtualBox 3.2 in non Apple Intel PC. 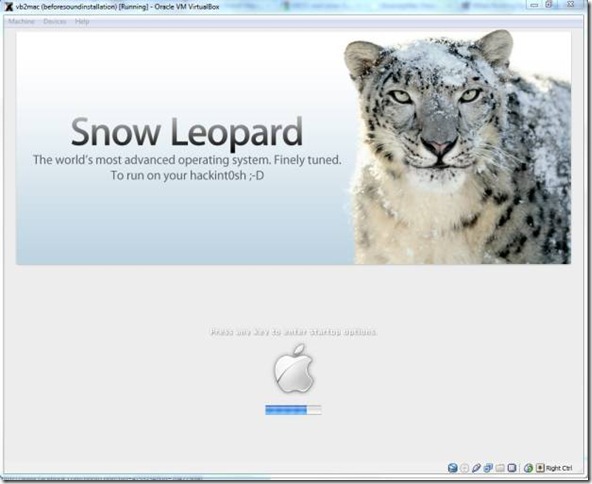 This guide explains step by step methods involved in how to install snow leopard in VirtualBox 3.2. Intel i-series processor users- Check this other guide with three methods suitable for Intel i3,i5 and i7 processors. Remove Enable EFI. Built in EFI loader may work with apple hardware only. 2) Mount empireEFIv1085.iso to CD drive. Make CD ROM as first boot device. Keep your Snow Leopard DVD or ISO file ready. 3) Start the virtual machine. When following screen appears, eject loader ISO and load Mac installation DVD or ISO. To do it, right click on CD drive and select drive or ISO image. Wait a bit , Press F5 and ENTER Key when DVD loaded. 4) Wait for some time. If you see installation screen, you are almost done. Go through the installation process. 5) I got the following warning message at end of installation. It’s not an issue, just restart the Virtual machine. 1) Network Network worked out of the box. NAT and Bridged type worked without any patches. 3) USB Support It worked well. Somehow data transfer is little slow, but manageable. It detected my USB hard disk and flash drive. 4) Sound in Mac OS X Guest Sound is a little issue here, but worked. I’m sure you are not going to connect 5.1 speakers, watch movies and listen songs. 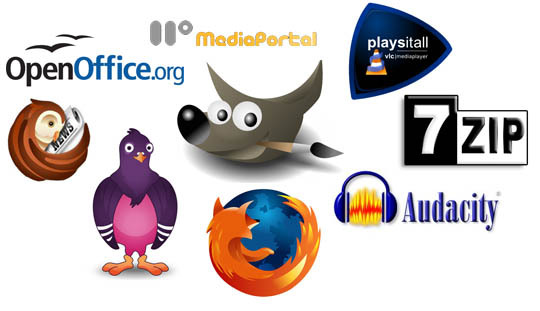 So follow these steps to install Sound drivers. For me it worked, one side speaker worked with little distraction. Something is better than nothing. At this point the file AppleAC97Audio.kext should have disappeared from the desktop. 5) Screen Resolution and Screen Size Follow the steps to adjust screen size. Wide screen size didn’t work for some users. 6) Shutdown and Restart We can’t shutdown or restart Mac VM normally. You may see messages showing ‘CPU halted’ (for Shutdown) or ‘MACH Reboot’ (for restart), this means nothing will happen after it. 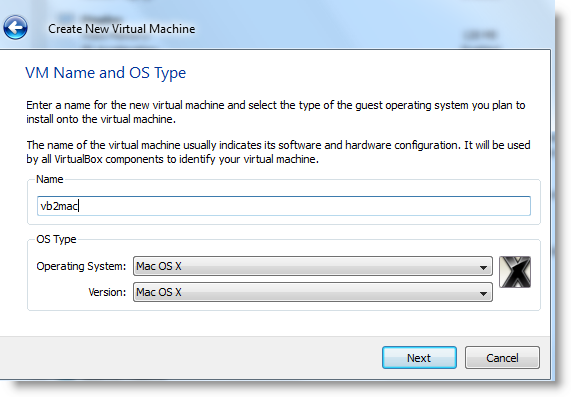 Power off or reset virtual machine from VirtualBox console. Here is the working Snow Leopard Guest on VirtualBox 3.2. To avoid attaching empireEFI ISO every time and boot OS X virtual machine, you can install boot loader permanently on mac local hard disk. This method will install Chameleon boot loader, and some other drivers and fixes. Go to Empire EFI CD, which already mounted and open Post Installation folder. Take a snapshot before do anything at this point. Run myHack Installer Package. Read each package description and select if it requires for your hardware. I recommend to not deselecting anything, which selected by default. Press Install button to continue. After successful installation, remove empireEFI ISO. Start virtual machine, it should boot from hard disk as shown below. If this doesn’t work, restore VM to last snapshot and install Chameleon boot loader from separate installation file in Post Installation folder. After this installation, boot loader worked and I can see good performance in OS X virtual machine on my Intel Core2Duo PC. a) Mac DVD reading error EBIOS read error: Error 0×0c Block 0×1ed48a Sectors 0 This is due to accessing data from Mac retail DVD to VB. Convert DVD with some cloning software to ISO. More people faced same issue and solutions are suggested here. b) Booting errors after installation. Try with verbose or Boot Ignore Caches. In empireEFI boot loader, go to mac disk by pressing right arrow key. Once it’s selected, press down arrow key that will bring more options. Select and press Enter. c) Change Boot Loader For old type processors, select legacyempire_efi1085.iso, which will be in same folder. if this boot loader and method doesn’t work on Intel processor then try this method with different iboot loader. USB disks access gives trouble with same guide in Oracle VirtualBox 4. Snow Leopard virtual machine crashes when trying to explore USB storages such as flash disk and external hard disk. If you face the same problem, then check this guide how to fix this issue. IOUSBFamily.kext and IOUSBMassStorageClass.kext files should be replaced to older version immediately after the software or manual update to 10.6.5 or 10.6.6 before restart. If not, USB mouse,keyword, USB storage devices may stop working after the update. Read this guide on fixing USB issues after update. 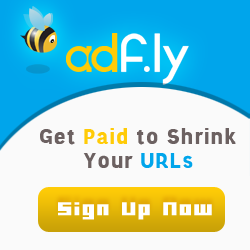 Again, this method is just for learning and testing purpose. Feel free to share your comments and issues you face. I’m not Mac or VB expert, but I will try my best to help you. Don’t miss subscribing to sysprobs.